(Another) Rash of Nonya Madness? 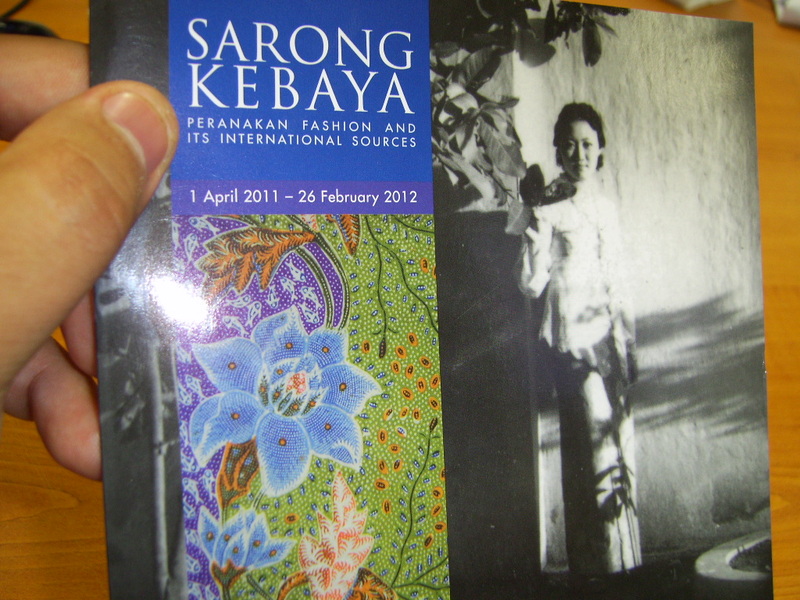 Just got this invitation in the mail: “Sarong Kebaya: Peranakan fashion and its international sources”. Yes, another Kebaya exhibition is upon us. It wasn’t so long ago that the Asian Civilisations Museum hosted ‘Nyonya Kebaya: A Living Art’ exhibition (in 2005) (click ‘here‘ for more info). So why another full-blown kebaya exhibition so soon? And I remember distinctly that after the series was over, Nyonya madness hit Singapore! There just seemed to be Peranakan food popping up everywhere, more TV shows featuring this theme, more Peranakan fashion spreads in newspapers, interviews with Peranakans…(see ‘here‘ about the craze) etc. Case in point: I’ve got aunties (pure 2nd generation Hokkien/Cantonese Chinese with no Peranakan in them) who sought out, bought and eventually wore kebaya for Chinese New Year 2009! Not that I’ve got anything against this new kebaya exhibition at the Peranakan Museum, or anything Peranakan for that matter. Let’s hope that this exhibition explores fashion in Singapore in the wider sociological/anthropological milieu; perhaps not just focus on what the fashion ‘looks’ like but what it ‘reflects’ of the society that created and tolerated it. Is this new exhibition possibly one that simply wants to ride on the coat-tails of the ‘Little Nyonya’, as skeptics would point put? Not likely; I’ve got much faith in the academic grounded-ness of most local curators. But then again, to side with the skeptics just for a bit, when was the last time you heard our public museums doing exhibitions on the cheong sam, baju kurong or sari?? ?